Ford made big news with its new Escape Hybrid and plug-in hybrid last Tuesday, but they weren't the only new plug-in SUVs the company announced. 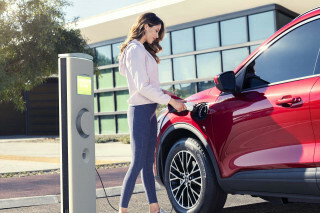 In the same announcement in Europe, the company revealed a new plug-in hybrid Explorer that will go on sale there later this year. 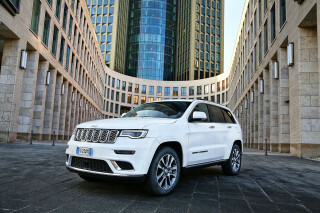 The company announced no plans to sell the Explorer Plug-In Hybrid in the U.S., because it already plans to sell the same system in the new Lincoln Aviator Plug-In Hybrid in 2020, and it doesn't sell Lincolns in Europe. The European Explorer Plug-In Hybrid will use the same powertrain as the Aviator plug-in, with a combined 443 horsepower (450 metric hp), drivetrain from an electric motor paired with Ford's turbocharged 3.0-liter V-6 and a 10-speed automatic transmission. 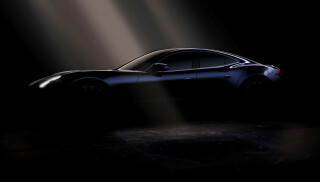 The powertrain will deliver 620 pound-feet of torque, and all-wheel drive will be standard. With all that power on tap, it makes sense that Ford will offer a performance variant of the Explorer Plug-In Hybrid. It will come only in two high-end trim options: the luxurious Platinum, and sporty ST-line. In a hint of what's to come for the Aviator plug-in hybrid in the U.S., the plug-in hybrid Explorer will offer 25 miles (40 kilometers) of electric-only range, though different test standards in the U.S. may reveal different numbers. That would put it in line with other competitors in the U.S., such as the Volvo XC90 T8 plug-in hybrid, which is expected to get a bump from 17 to 20 miles of all-electric range for 2020. The new Explorer will be the first one to be sold in Europe. 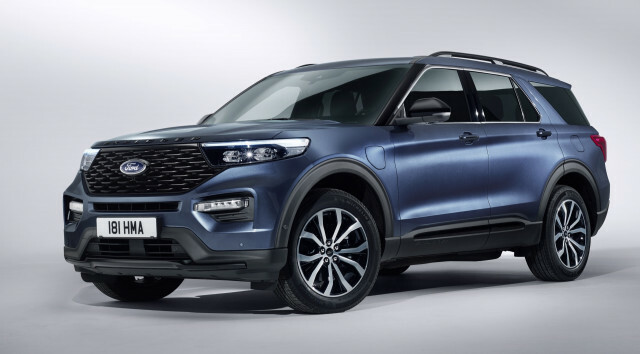 In the U.S., Ford will sell a standard hybrid version of the Explorer, that is expected to return about 24 mpg and cost more than $50,000. Ford has not announced when the Lincoln Aviator Plug-in Hybrid will go on sale in the U.S.